It Is Sometimes Referred to As The Old Course "Lottery"
"Hell Bunker" Awaits Down The Fairway! For golfers who have not managed to secure an Old Course tee time in advance, there is still an option to apply for one via the Daily Ballot system. 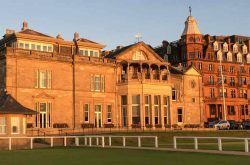 The St Andrews Old Course Ballot is drawn two days ahead of play with the exception of Friday as there is no play on the Old Course on Sundays. For example, if you wish to enter the ballot for a tee time on Wednesday, you would apply on the Monday. If you wish to enter the ballot for a tee time on a Monday, you would apply on a Saturday. 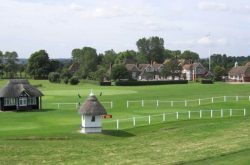 To enter the ballot, golfers names, home golf clubs and handicaps are required (Maximum of 24 for men and 36 for ladies). The deadline for entering the ballot is 2pm and the results are usually available by 4pm. 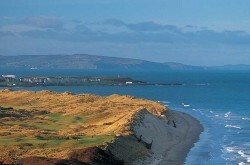 Links Golf St Andrews take care of the above process for all golfers who have their golf tour booked with us. We will advise clients if they have been successful in the Old Course Ballot and if not, arrange alternative golf. 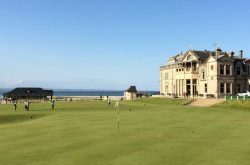 Certain times of the year are better for gaining a tee time through the Old Course Ballot. The winter months are generally quieter on the Old Course. During the summer season, the months with longer daylight hours (Late May, June & July) tend to have better availability for the Ballot. 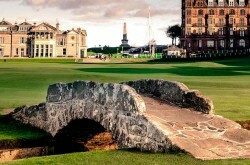 The St Andrews Old Course Ballot is sometimes referred to as the “Old Course Lottery”.